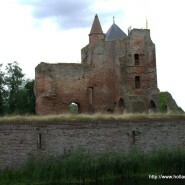 An old, medieval castle, built in the 13th century by William I of Brederode. 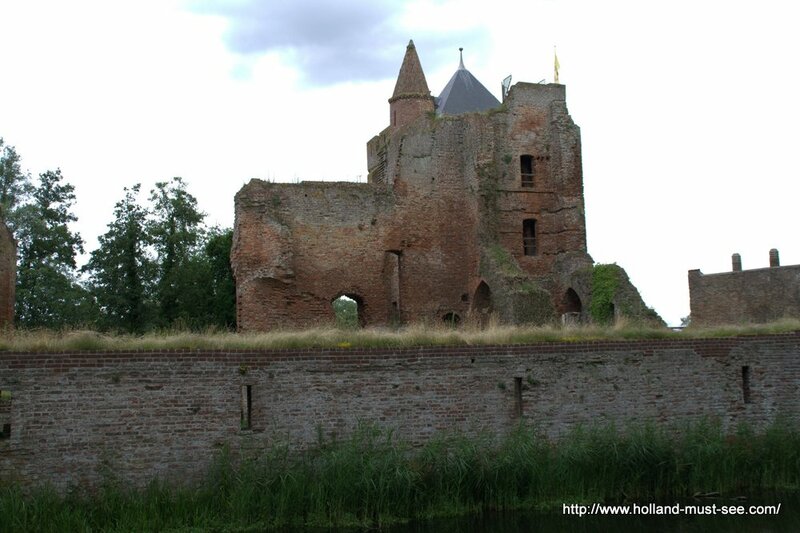 The castle was destroyed, abandoned and rebuilt many times, until Wolfert of Brederode died in 1679. He was the last member of the Brederode dynasty, and when he died the castle was abandoned for good. In the 19th century the first restorations took place, sponsored by the Dutch government. After those restorations, the castle became the first listed national monument. At the time of writing, the castle is open to the public, for a modest entrance fee, except in winter. The castle may have to close its doors, however, due to lack of funding. Check the official website (click the English flag on the left for the English version) for up to date admission fees and opening times. Brederode Castle can be reached by car (address: Velserenderlaan 2, Santpoort). The nearest train station is Santpoort Zuid, from there it’s a 15-20 minute walk to the castle.